Her son Arthur Saint Bleick is undoubtedly her pride and joy. 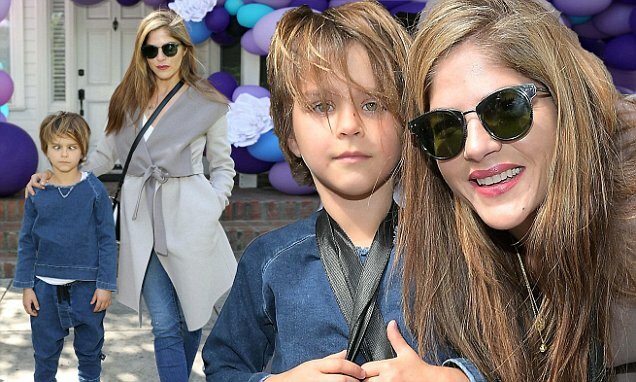 And on Saturday, Selma Blair took little one to the AKID Brand's 3rd Annual The Egg Hunt at Lombardi House in LA. The actress, 45, looked chic in a classic grey wrap coat. Selma layered a white T-shirt underneath her outwear. The Legally Blonde star completed her look with a set of skinny jeans, sneakers, a leather bag, shades, and minimal accessories. Young Arthur was styled in a denim-on-denim look, paired with green sneakers. The Easter-themed event attracted a collection of celebrity moms.